Today’s hipster designers have hyped mobile app design way too much. Not to blame them, because the competition is so fierce and it’s the ‘Design’ point of view which is considered primarily. Being an entrepreneur, you ought to consider appealing and feature-loaded business mobile app since mobile applications are indeed the tools to to attract potential users across the globe. Do you know which are the two vital things that you must never ignore? UX (User Experience) and UI (User Interface). The so-called “Bad UX” can occur ultimately only because of “Worst UI”. That sounds interesting. After all, it is the approach, tips and resources used to create the design matters irrespective of any other things in the any app development project. It is very important to withhold this in mind and follow an accurate mobile application development strategy that would assist you in designing better experiences. The below mobile design tips will decode its significancy during the developmental stage. a) Outdated app is nothing but its not updated design wise, make it trendy or its’ user interface should be according to the user’s choice. b) UI should always woo the end user by keeping the things simple but stunning. c) Logos lure customers for sure. It has a psychological effect apparently. Thus, design the logo is also crucial. d) It’s requisite to call for real and regular mobile users while evaluating the mobile app UI design. e) Yes, User-friendly and Smooth mobile UI graphical will always help. f) Stick to the OS guidelines. If you want to have a brilliant mobile app user interface, follow it. g) Color not only creates hierarchy but elaborates the brand, so choose it wisely. h) Paying attention to the concept of responsive design is vital. i) UI design needs to take security issues seriously. It has to be so simple and intuitive that your app doesn’t need to come with instructions. To give an illustration, a scattered market filled with to-do list apps are faced up by beautifully designed apps. The only way to test this is to create an incredible interface and let your potential customers play with it. Users never uses an app more than once that didn’t appeal to their eyes or one that made them think about how to use it. Not only does design influence the mental attitude of your users, but also triggers their perceptions to certain extent. Sometimes, it helps you get to the app store’s top ‘Featured list’.While it’s natural to consider design as the look and feel, it’s much more than that. Design means making sure you offer an overall fantastic user experience. 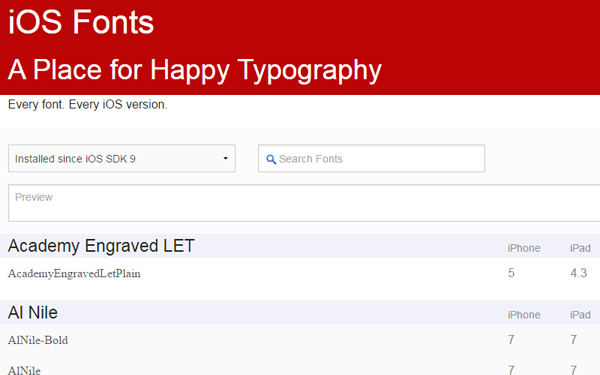 iOS Fonts features a listing of default iOS fonts in one place with a total of 260 faces for iPhone and iPad. You can type the text in the preview box and easily check out the results how it appears. 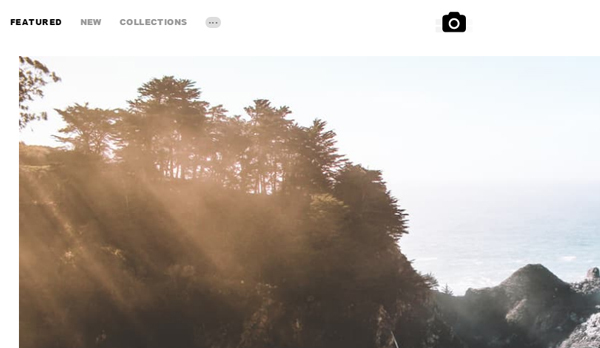 Unsplash, HQ photos finder which are free of copyrights, is one of the tool/resource you will adore. Finding good quality stock photographs to use in your app or its associated microsite can be a challenge, and there are costs associated with them. But Unsplash is the best tool for it. It is a completely free iOS design kit that offers 138 templates with over 250 components and 8 Photoshop document files that you can incorporate in your designs. Great tool for creating a more usable app, it allows you to see how people really use your app so that you can create a better user experience. It can also track bugs. A curated library of over 2,900 iPhone and iPad user-interface patterns, pttrns already has over 2 M page views/month. Use it as a design inspiration from some of the best apps out there. Of course, you can adapt the designs for Android apps as well.